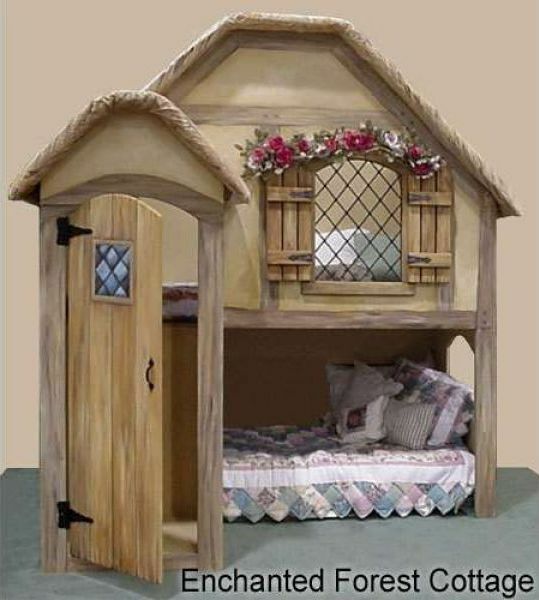 We all had fantasy bedrooms as a child that we dreamed about having. This is a collection of those bedrooms and the average cost of owning one. 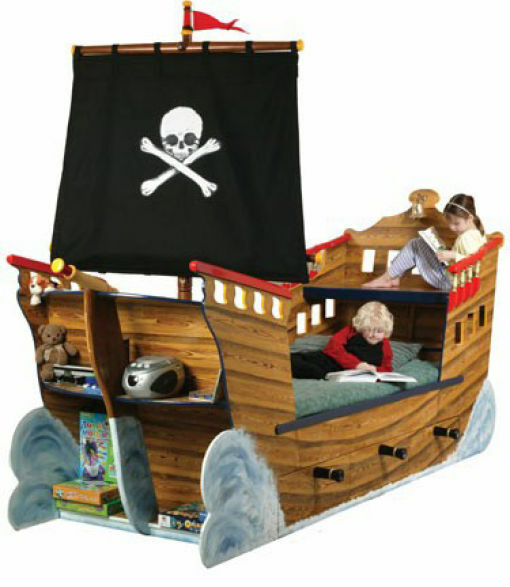 These creative, fantasy beds ensure your child has sweet dreams and a creative fun place to hang out in. 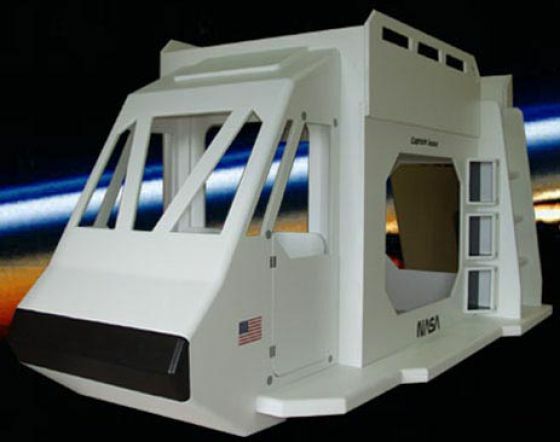 Space Shuttle bed that will have them flying to the moon, or as Buzz Lightyear would say, “To infinity and beyond". You can pick up the boarding pass to the moon for $2595. 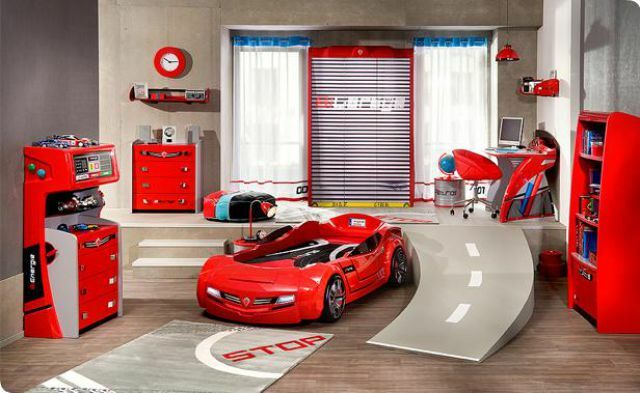 Just look at all the work that went into this pitstop of a bedroom. We added up all the separate items in this room and came up with a price tag of roughly $9,000.00. That includes the bed, mattress, lighting, toolbox dresser and everything else. 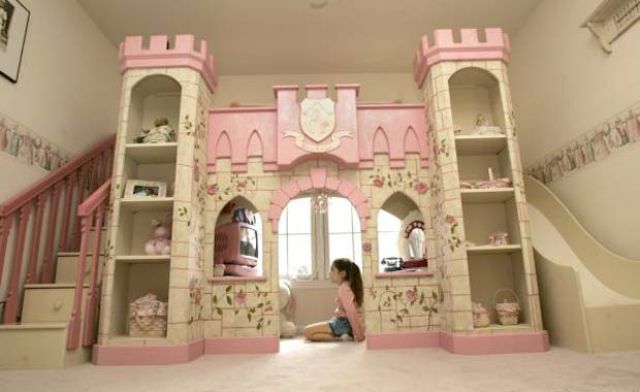 This set is for any little girl that has dreams of being a princess. 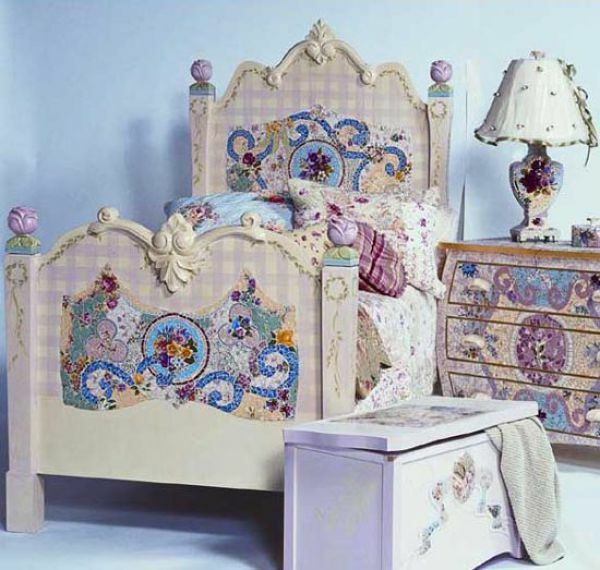 The bed and dresser are hand painted. You can make her the perfect princess bedroom for just $10,720. The description of this bed says it all. "Your little girl can spend every night in a fairy tale cottage without ever leaving home. This adorable little house can hold two twin mattresses, making it the most adorable bunk bed ever. Just enter the front door and climb the ladder to reach the top bunk where you can peer out the shuttered window and sleep under the faux-thatched roof." If your child loves the water and the thought of being at sea then this lighthouse themed bedroom set is for him or her. 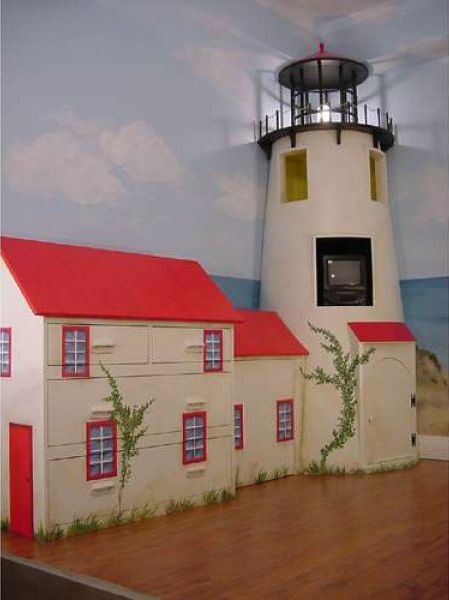 Notice the built in cabinets, the spot for a tv and even the amazing lighthouse beacon on the top. Not a bad deal for only $16,150.00. 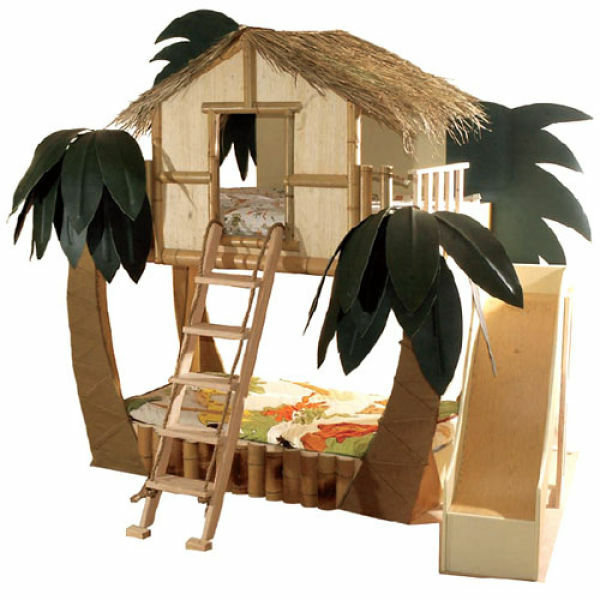 Your little princess can have her own castle complete with steps, slide, and turrets for only $47,000. 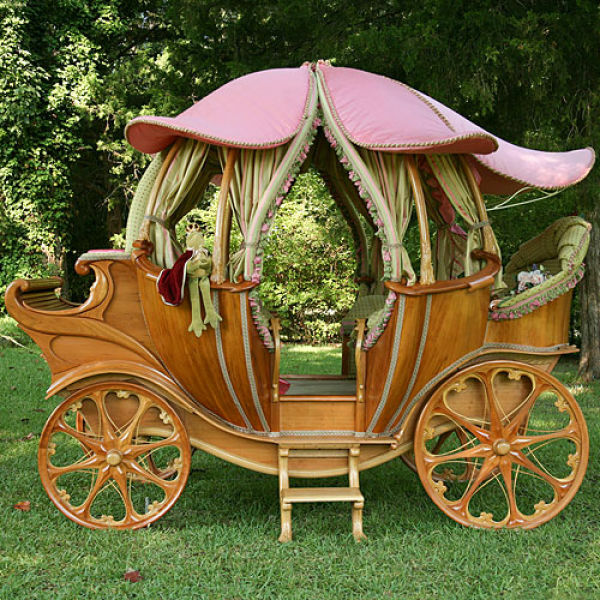 Hold onto your wallets this gorgeous carriage of a bed will dent your pocket book $75,000. It has solid cherry throughout and artisan crafted. There are over 100 pieces just in the wheels alone. This is a price that has to be created per order due to the craftsmanship that is put into it. Just think $75,000 and your little one spills one drink or has an accident and its tomorrows garbage. you could make any of these for under 200 bucks. Oooohh! 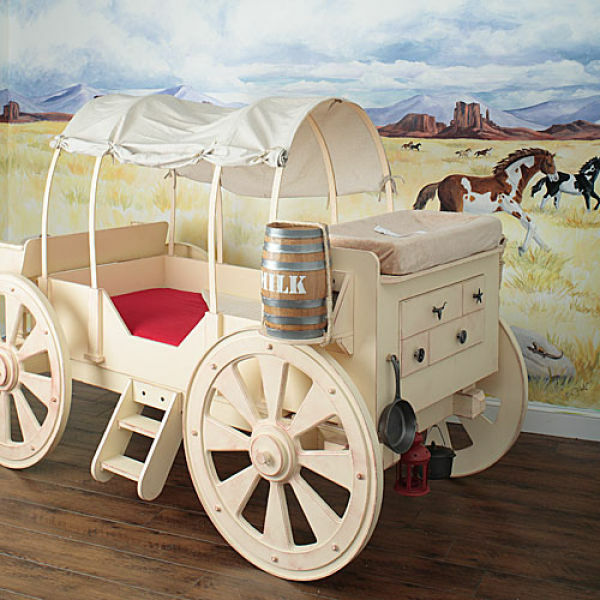 That princess castle bed is straight out of a disney movie and that carriage is a masterpiece. On one hand, your child will probably always be happy to friends come visist, but on the the other hand - they grow up/outgrow childhood things.